WASHINGTON (JTA) — Jewish voters favor Hillary Clinton over Donald Trump 52 to 23 percent, according to poll tracking by Gallup. The only religious group showing stronger favorability ratings for the Democratic nominee in data collected from July 1-Aug. 28 is Muslims, who favor Clinton over Trump 64 to 9 percent, according to the analysis posted Tuesday by Gallup. 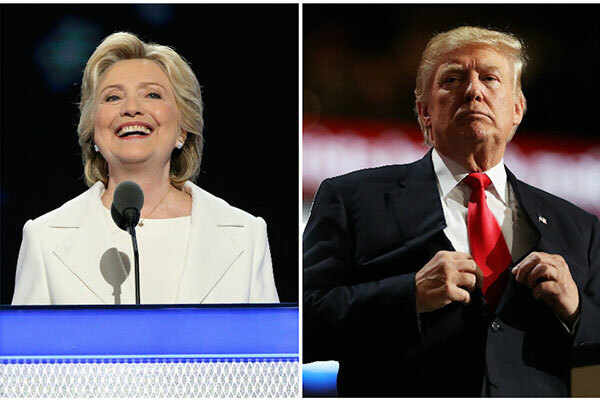 Jews tend to favor the Democratic nominee by 10-15 points more than the general population, and this polling is no different; Gallup’s latest general population favorability ratings, for the week Aug. 24-30, show Clinton at 39 percent and Trump, the Republican nominee, at 33. Clinton also fares better than Trump among Catholics, 45-33, other non-Christian religions, 48-18 and atheist/agnostic, 44-19. Trump fares better than Clinton among only two religious groups listed by Gallup, Protestants and other Christians, 40 to 35, and Mormons, 33-16. Trump has come under fire for his broadsides against Muslims and other minorities. His expressions of antipathy toward Mexicans likely also hurt him among Catholics; Trump earns 44 percent approval to Clinton’s 34 percent among non-Hispanic Catholics, but scores 12 percent to Clinton’s 67 percent among Hispanic Catholics. Gallup in an email to JTA said the margin of error for the Jewish sample was 5 percentage points and for the Muslim sample, 7.5 percentage points. There were 689 Jewish respondents and 168 Muslim respondents. 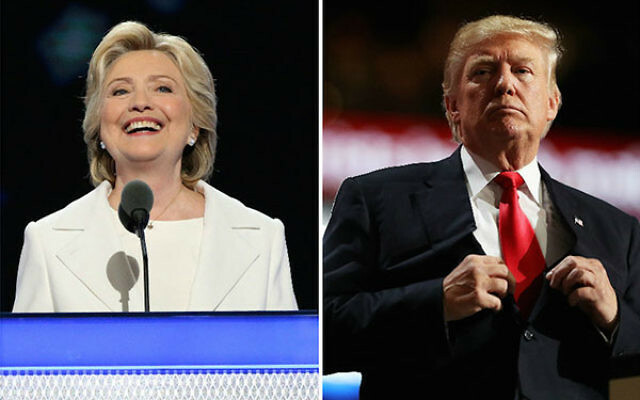 A recent poll of Florida Jews carried out by a polling firm close to J Street, the liberal Jewish Middle East policy group, found that 66 percent of Jews said they would vote for Clinton over 23 percent for Trump. Only Orthodox Jews as a group favored Trump over Clinton, by a margin of 3-1. The Florida question, however, was phrased differently, asking respondents whom they would vote for, and not whom they favored, as in the Gallup survey.